It has been over a month since the baby was born and I finally have a minute to write a new blog post. So what has changed since my last post? E V E R Y T H I N G! So this is what I have learnt, or started to learn since his arrival. A Woman’s body is amazing – I wasn’t to keen on natural birth, but I am still absolutely amazed how strong and capable our bodies are! Losing pregnancy weight is a marathon not sprint, but it’s defo a competition / race. 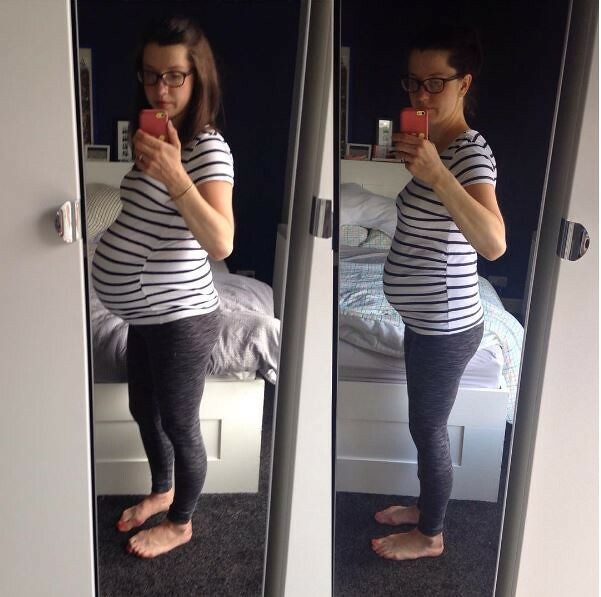 Seriously, so many chats when seeing new mums is about your weight before and after. Geeeeez. It’s possible to gain small injuries without doing any exercise. Motherly duties can be a pain in the wrist and the back…. These bother me more than lack of sleep. When I saw yesterday’s post I was sorta hoping you were wearing a jumpsuit, is that weird? This one is rocking on you, it’s the perfect birthday dinner outfit! Love the high bun and red, red lip. You look gorgeous!